I read this article and found it very interesting, thought it might be something for you. 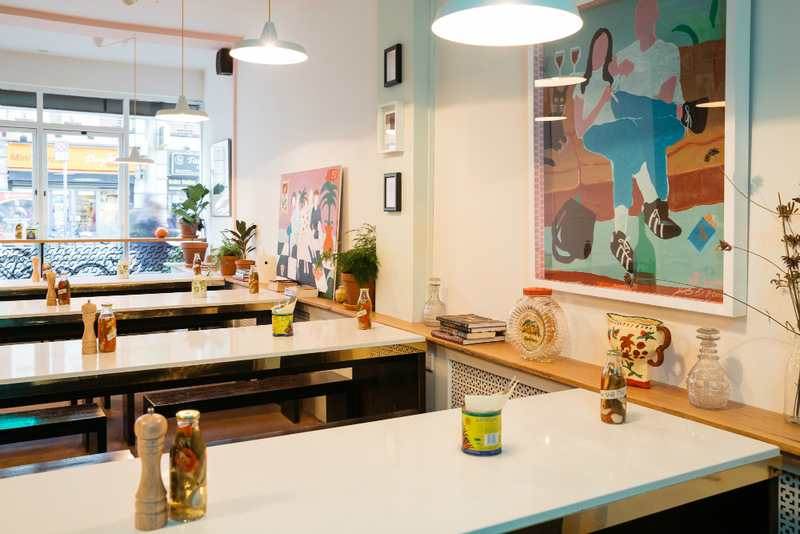 The article is called Restaurant Review: Hey Donna and is located at https://www.totallydublin.ie/food-drink/restaurants/restaurant-review-hey-donna/. It’s a coincidence that the first thing I taste in Hey Donna, Rathmines’ newest squeeze, is a mushroom so flavourful and meaty that it actually brings forth the memory of a burger cooked to the delicious realm of the Maillard reaction. It strikes me as a coincidence because Hey Donna used to be Jo’Burger. 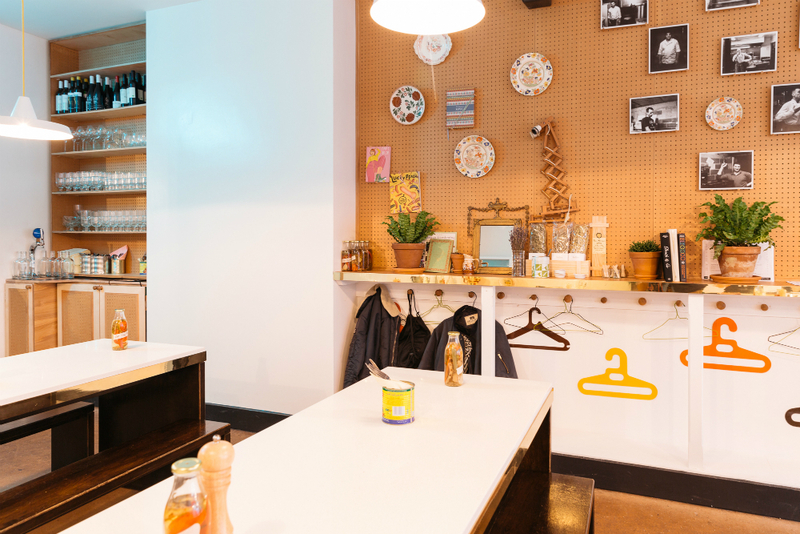 The menu is designed for sharing and has a welcome emphasis on vegetables. 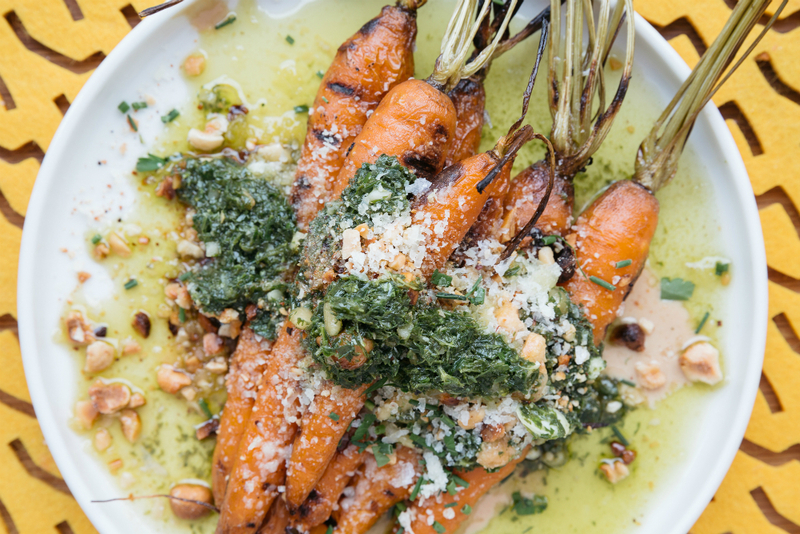 We can taste the influence of Beirut in the tahini doused roasted carrots, topped with a hazelnut and carrot top pesto (€8.50). A large bowl of Dunany spelt, grilled radicchio, almonds, grapes, honey and Boyne Valley Blue (€9) is almost perfect though I would question the addition of the grapes. They take away a little attention from that fabulous grilled radicchio, and the more local ingredients of spelt and blue cheese don’t actually need any help from their imported pal; they’ve got this. Short ribs with a red pepper gravy (€17) arrive on a sharing plate alongside our berber spiced lamb chops (€14). The beef ribs arrive on the bone and Joe pulls them off with a fork at the table for us. Both ribs and chops are divine: tender and full of flavour. We get a few little sauces on the side including a NSFW garlic toum (€2.50, an outrageously good thick garlic paste), a green chilli zhug (€2.50, akin to a chimichurri) and a chilli and nut rayu (€3, “I totally stole that from Katie Sanderson – I called her up and asked for her permission though” Joe points out, with a cheeky grin). That meaty King Mushroom (€4.50) was a special of the day and got its yumminess from a caramelised fish sauce. Also on special were large grilled green biber peppers (€5), which were a bit of a thrill to eat. Would the next mouthful be home to a hot spot on the pepper or would we get away with just a moderate blast of chilli heat? Delish. Dessert comes in the form of the Whip du Jour (€7.95), a whipped yogurt put through a catering cream whipper, topped with a squirt of baked apple syrup, a sprinkling of Iranian pistachios and a tablespoon of crushed amaretti biscuits. There is a Joe Macken flair to this as it’s all put together at the table. On cocktail duty is Nicki Connolly, who has worked across Joe’s restaurants for years. Conolly is an award-winning mixologist and has designed menus in other restaurants in Dublin, too, including The Yarn by Elaine Murphy. We drink a thyme enhanced lemonade (€3), a chilli infused tequila with jasmine and lime (€10.50), a whiskey, fig and plum shrub with Connolly’s grenadine (€10) and kraken spiced rum with date syrup and orange bitters (€11). They are as good as they sound. This is the best food that Joe Macken has brought to us yet. He has plans to roll out the Hey Donna model, once it’s found its feet in Rathmines, but Jo’Burger Town, Crackbird and Skinflint will all stay where they are, doing their own thing. As their tagline goes, Hey Donna is for mates, dates and yadda yadda. It’s a spot to eat really well, drink good wine and cocktails and relax. And there isn’t a burger bun in sight.